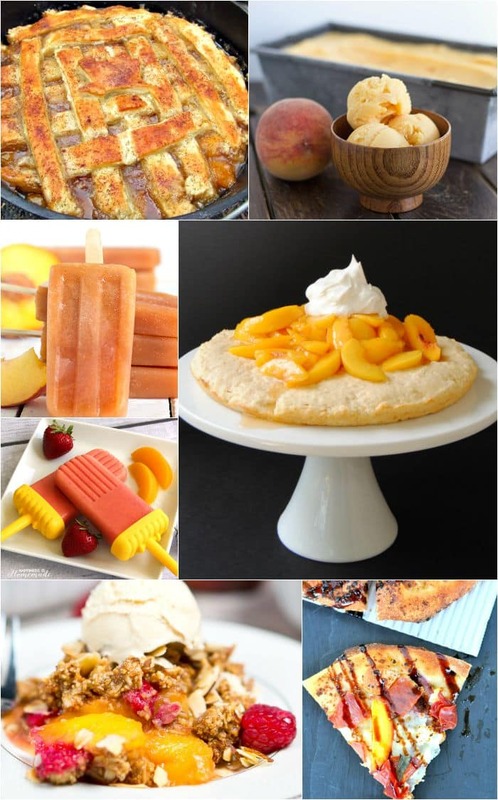 Did you know that August is National Peach Month? I didn’t, but I do love peaches! In fact, my whole family loves peaches. I’m going to be honest here, I’ve never really gotten all that creative with peaches. 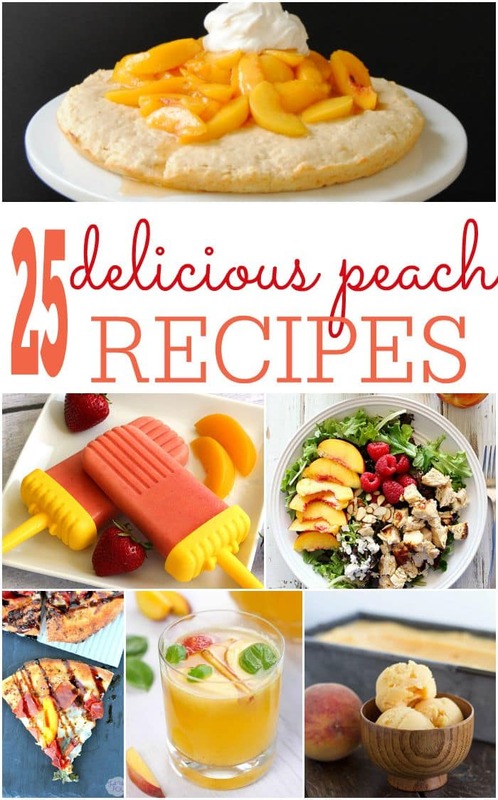 However, once I realized National Peach Month was approaching, I knew that I wanted to incorporate peaches into more of my recipes. Why not, they are absolutely delicious! I love fresh peaches, especially when they’re so juicy the juice runs down your arm 😉 thanks for including my sangria! I want to get stuff tomorrow for your sangria, it looks amazing! Yum, great looking list. Perfect for summer. Thanks for including my red wine peach vinaigrette! Thanks so much for mentioning our Whisky Peach Jam! What a great list! I am so incredibly obsessed with the peaches right now. I can’t even make anything out of them- I eat them before I can get that far! Ha! Haha, yes the hard part is not eating them before you use them in a recipe.